Decadently rich and creamy popsicles with bits of toasted coconut against a background of three milks. I've made Coconut Popsicles and Nutella Coconut Popsicles before, so when I saw this recipe on Girlichef, I knew it was time to try these creamy toasted coconut popsicles! 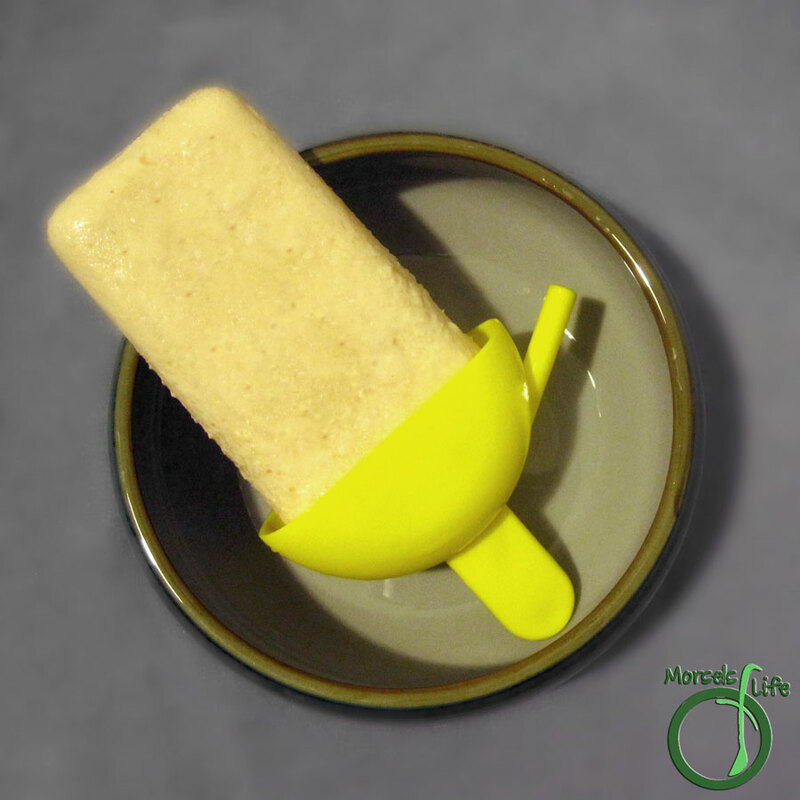 The original Coconut Popsicles had a richly clean taste, and the Nutella Coconut Popsicles had a bit of chocolatey indulgence. However, the sweetened condensed milk brings this frosty treat to a whole 'nother level of decadence. You've got toasted coconut against a creamy background of three milks - regular, condensed, and coconut. But you're not really interested in hearing me go on and on are you? You want the recipe! Of course you do. And here it is. What's your favorite decadent summer treat? 1 cup sweetened condensed milk You can use more or less depending on desired sweetness/creaminess. 3/4 cup milk I used whole milk since I had it on hand. Other milk fats should work too. You can also vary the amount depending on desired sweetness. Or for extra coconut flavor, use additional coconut milk. Place all materials into a blender. Blend until desired consistency reached. I like my coconut bits pretty small, so I blended for a bit. If you like larger pieces, put the toasted coconut in later or blend for a shorter time. Pour into popsicle mold and freeze until hard.